So adorable, these beautiful silver tone clip-in hair slides are perfect for those who adore classic but petite hair accessories. 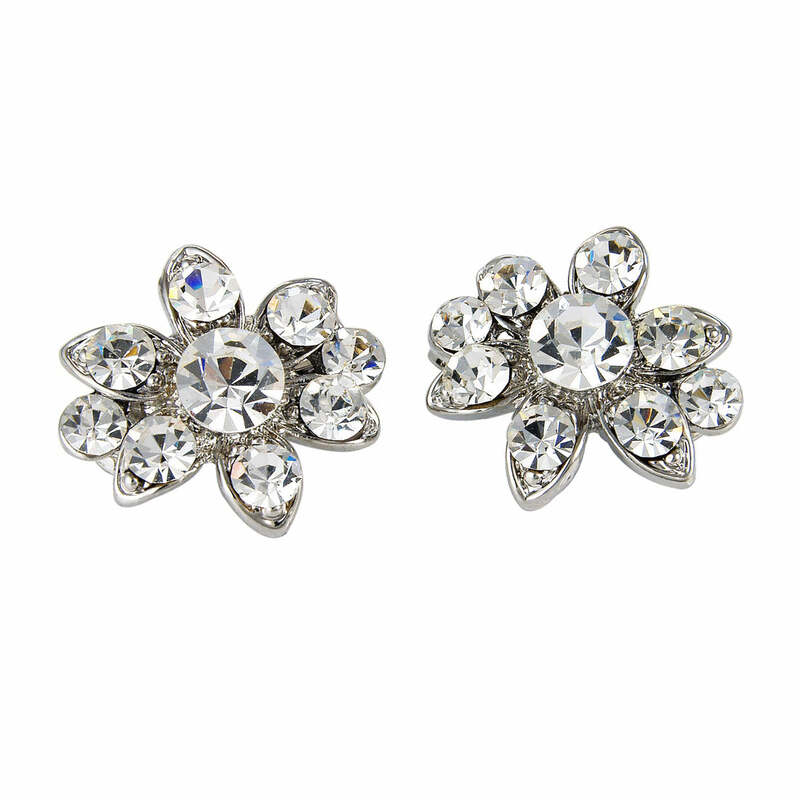 Adorned with clear Austrian crystals, one pair can be worn for delicate style or several pairs can be randomly pinned throughout the hair for the most divine but subtle sparkle. Design to dress the hair rather than secure, the clasp resembles a clip-on earring and works perfectly with all hair types. Brides who adore unstated elegance will fall in love with these beautiful hair slides. They are also perfect bridesmaids hair accessories. These are so pretty and sparkly! They look very delicate but clip in securely. I got 2 pairs to scatter in my half up do. Perfect!